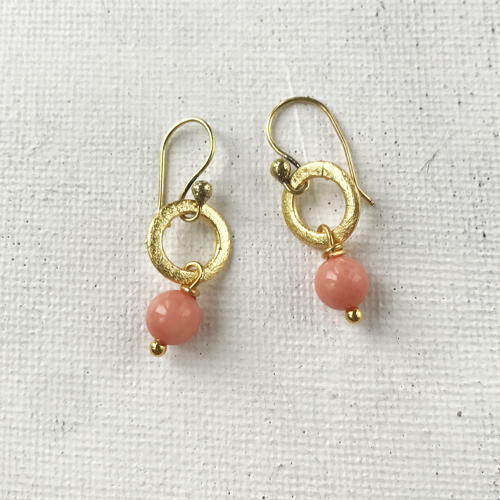 Gorgeous dainty earrings with a coral chalcedony bead and gold plated etched circles and wires. Length 3cms. Designed and hand made in England.